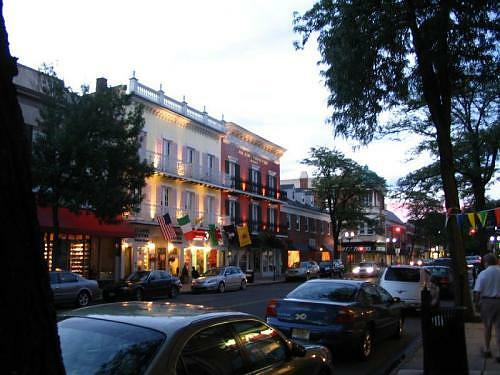 Located 25 miles southwest of New York City is the very attractive town of Westfield, NJ. Westfield's approximately 29,500 residents enjoy a multiplitude of ammenities within their town limits. The New Jersey Transit System is vital part of Westfield. There are ample bus stops throughout the town providing easy access all over New Jersey and New York City. In addition, Westfield has their own train station on the Raritan Line that brings commuters to the Newark/Penn PATH Station where you can transfer to just about any light rail line headed into Jersey City, New York City, Newark Airport or the famous Jersey Shore. More information is available on the NJ Transit Website including time schedules, fares, maps and trip planner. The Westfield Public School system is top notch. With 10 public schools servicing this small town, the Westfield Public School system continues to rate high among its peers on a state and national level. Rankings and reviews provided by families attending elementary to high school levels can be found at Great Schools. High schools ranked nationally and within their state based on general evaluations and test scores are conducted by US News. During down time, Westfield residents enjoy the abundant dining and shopping options in their downtown center. Foodies will never be bored with Westfield's nearly 30 dining choices. Several of which have been placed on New Jersey's top 20 list. Westfield's shopping has been noted as the best shopping district drawing shoppers in from it's neighboring towns. Lord and Taylor, Victoria's Secret, Williams Sonoma, Lucky, and Urban Outfitters are just a few of the retailers that call Westfield home. In addition, there are several locally-owned boutiques. Westfield also has several parks, cultural events, street fairs, and within a safe and friendly atmosphere, it is easy to see why many people move to Westfield and few leave. For more on Westfied including municiple amenities, town statistics, weather and event calendar, visit the sites below. If you are interested in a personal tour, complete the Contact Me information form and let's get moving.